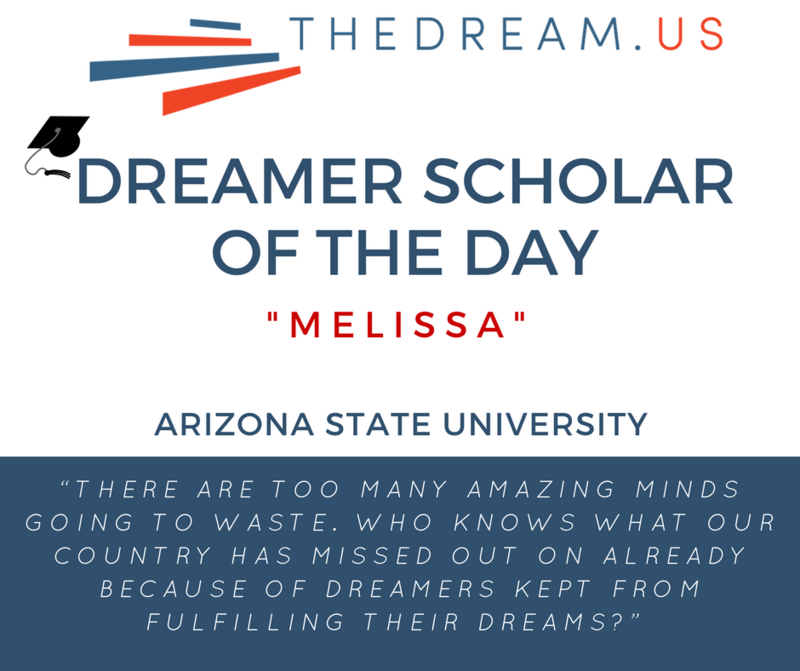 “Melissa” is an alias for a 22-year-old Scholar from Arizona, born in Mexico. and to call for the Dream Act. When I graduate, I hope to create a scholarship to help other students achieve their dream of education. We, DREAMers, are the only ones who can be the heroes in our own stories. We must venture out and fight for what we want and find ways and opportunities to accomplish our goals.